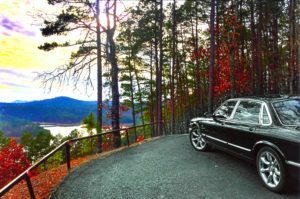 Red Dragon Automotive is nestled into the Ouachita Mountains in Hot Springs Village, Arkansas. With 50+ years of experience of building and modifying automobiles, if you love your cars as I do, you’ll feel right at home knowing we’ll care for your car in a way no others will. We offer a complete machine shop capable of machining your broken parts back to life or fabricate a new one that is no longer available. If it is known that the original is inadequate, we can redesign and fabricate a new one to exceed original specifications. In addition to our machine capabilities, we also offer electrical repairs, complete harness installations and electrical design work. We have a complete electronics lab on our mezzanine level ready to get into your next project. If you have a project, whether it be a gearbox, transaxle, standard build or a custom project requiring design and fabrication work, you’ll find Red Dragon Automotive ready to help you get it accomplished. No projects are too small, we start at the bottom and move forward. *The difference between ordinary and extraordinary is that little extra effort and care. This site is currently under construction. Some sections may not be active. Please bear with us as it becomes operational.